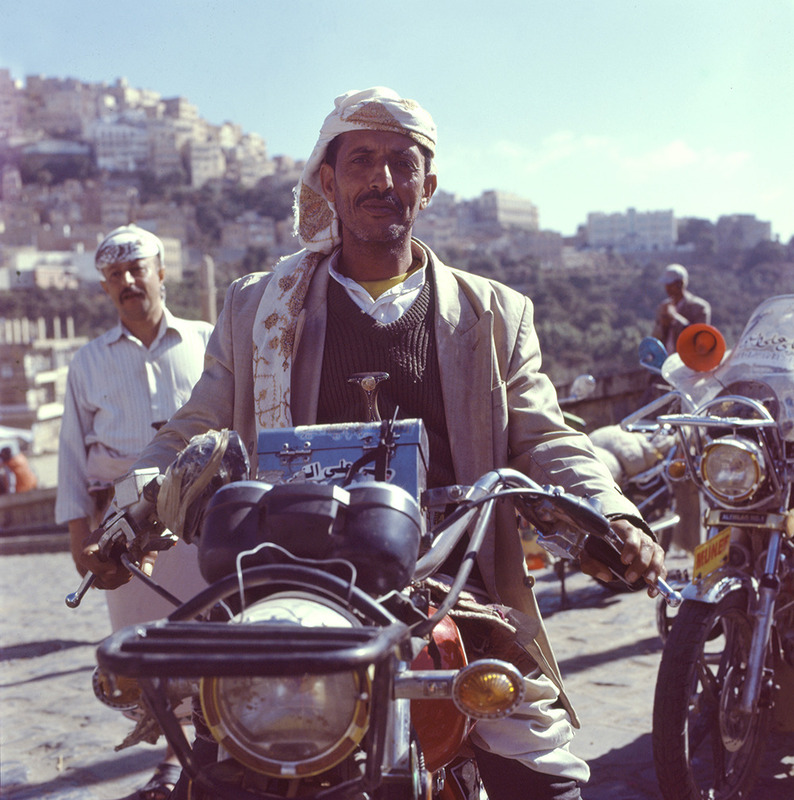 Yemen is a dry, rugged country at the foot of the Arabian Peninsula, and motorcycle culture is different there. 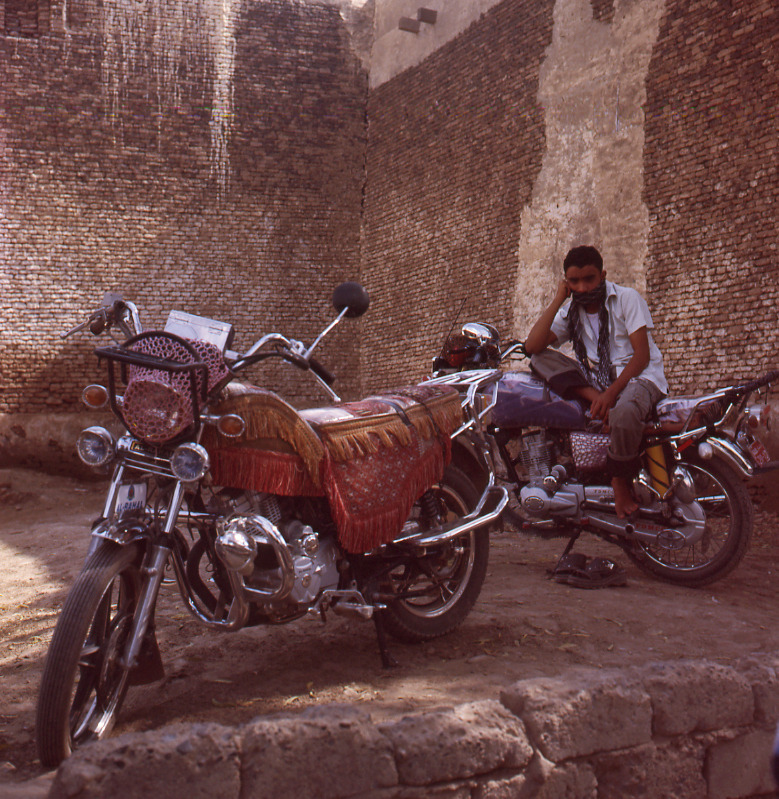 For one thing, motorbikes double as unofficial taxis. Cheaper than official cabs and also faster, they weave perilously through the ancient, dusty streets of Sana'a, the capital. 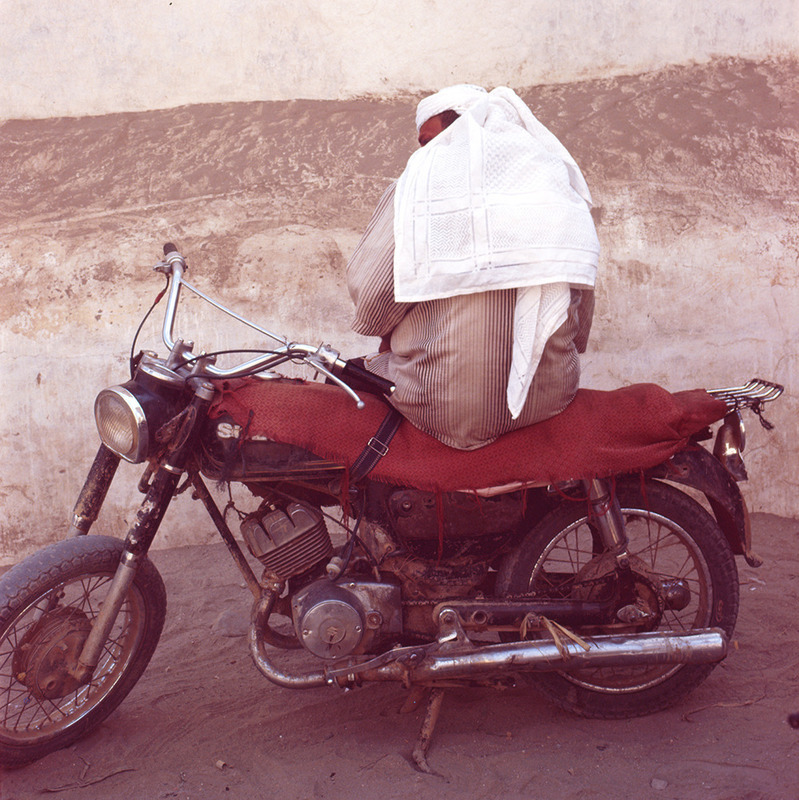 Only men ride motorcycles in this stringently Muslim country. For those who own them, these Chinese-made machines are prized items, providing both freelance work and something to be proud of. 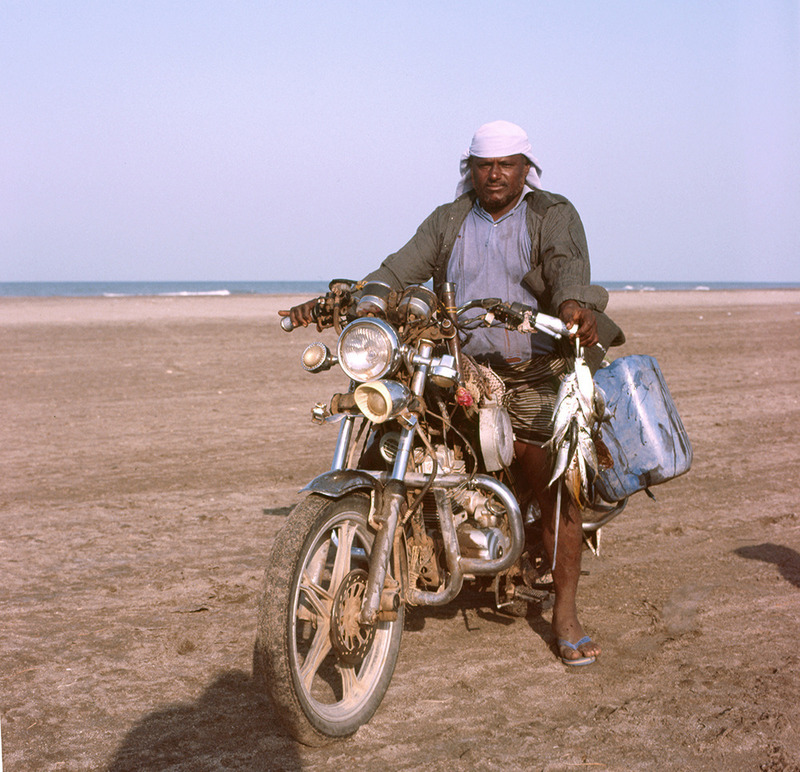 And in a country where many a man's favorite accessory is his jambiya (a curved knife often worn on their person) or his AK-47, a motorcycle functions as an alternative status symbol. 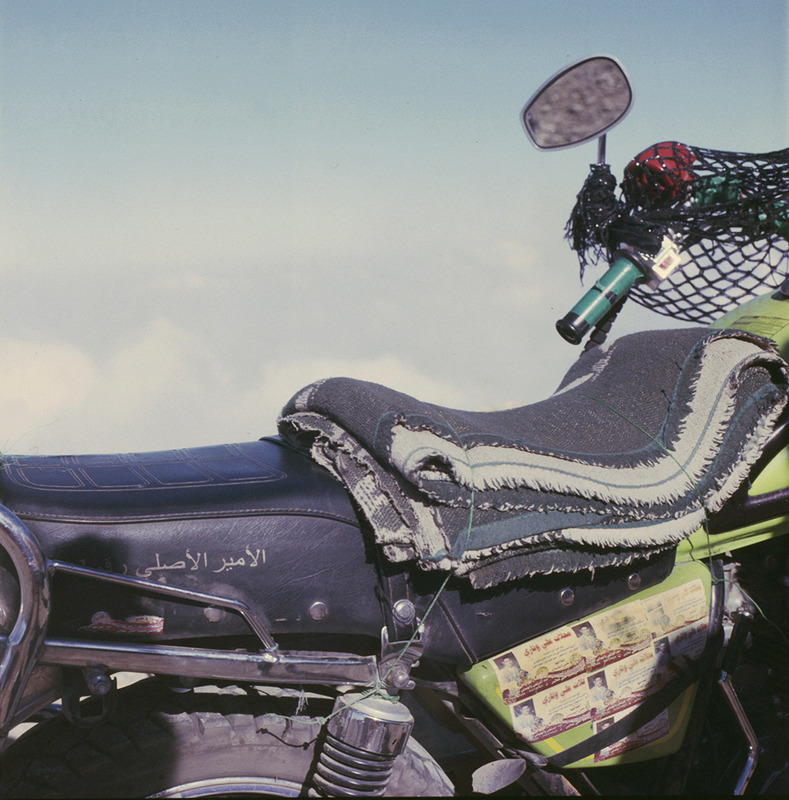 It's common for owners to trick their bikes out with goatskins, old carpets, tassels, stickers, and other forms of loving embellishment. 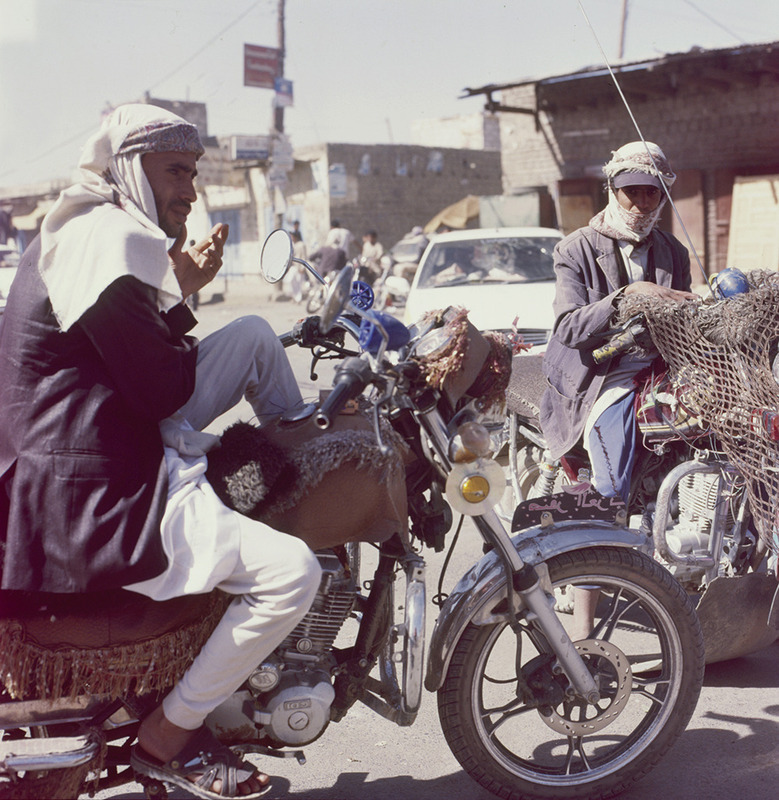 It's often said that the moto-taxi drivers are a special breed. Yemenis have mixed feelings about them. These daredevils offer a practical form of transportation, in part because they tend to make their own traffic rules. They have, perhaps, an outlaw charm. They've functioned as makeshift ambulances. 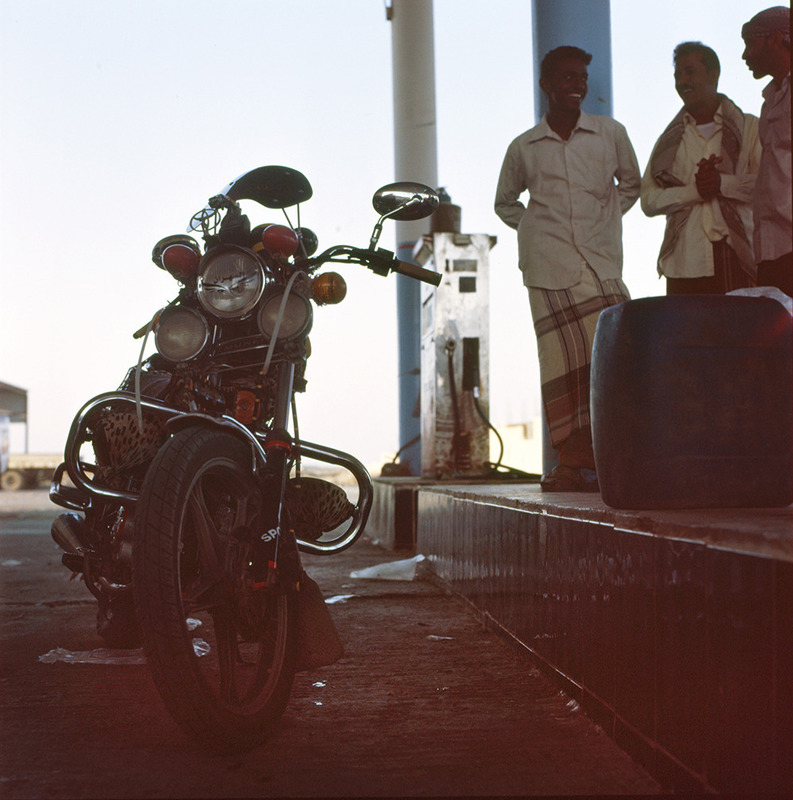 But increasingly, it seems, motorbikes are serving as vehicles for verbal abuse, muggings, and even deadly violence. 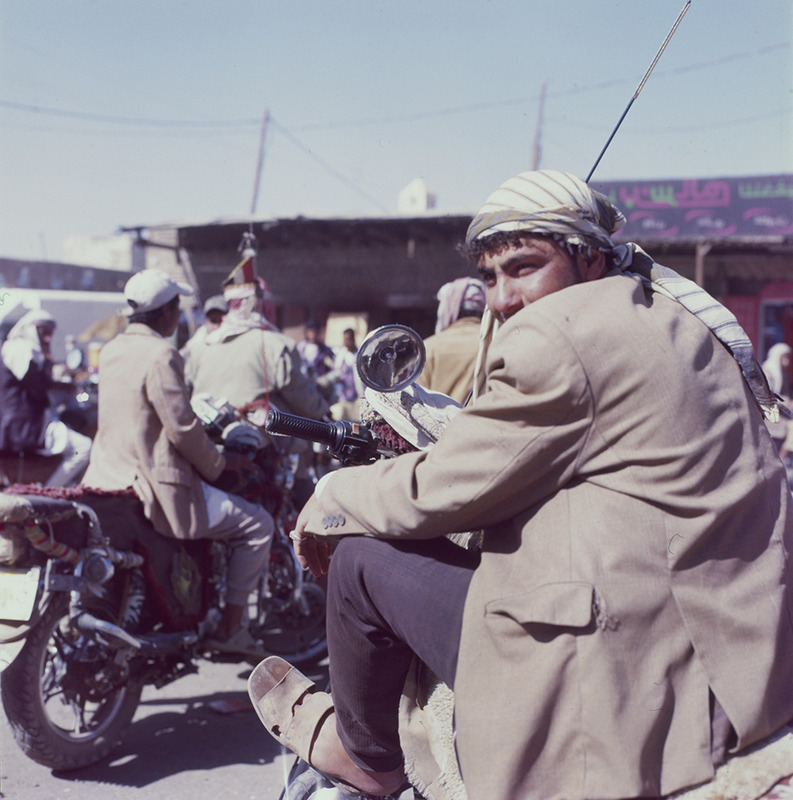 Especially when the operators are chewing the region's favored narcotic, qat, these easy riders can quickly become hell on wheels.